**I was a guest at Dive.is in exchange for my post on the blog. Collaborations like these are carefully selected to benefit my awesome readers, and opinions are always my own! 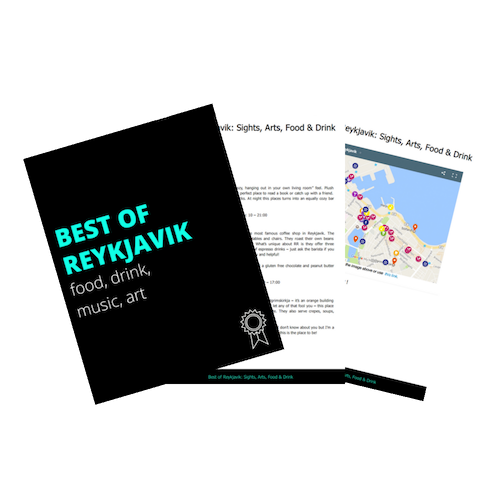 When you think about snorkeling or scuba diving, Iceland is probably not the first place that comes to mind, but did you know that it’s actually one of the most popular tours in the whole country. That’s what we’re talking about today friends. Hello team Iceland, welcome back to my channel. 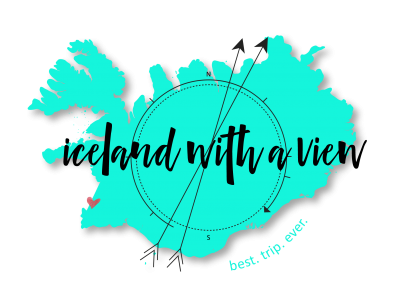 My name is [Jeannie 00:00:22], and I am your tour guide for all things: Iceland planning. Today is the start of a brand new series on this channel where I’m gonna be talking about different tours that I’ve taken in Iceland. Today we are talking about the Silfra fissure which is the place that you can go snorkeling or scuba diving in Iceland: Why it’s unique, why you might not want to do it, and all of the things that you need to know about this tour. So, let’s get into it. So, Silfra is a fisher that is located in Thingvellir National Park which is on the Golden Circle, and it is filled with freezing cold water from a nearby glacier called Langjökull. Silfra is unique because it is literally the separation between two tectonic plates, so this essentially means that when you do Silfra, you are gonna be swimming between the North American and Eurasian tectonic plate: You’re sewing between continents. That’s cool. Now, there are many companies that offer tours in Silfra, but for the purpose of this video, the tour that I’m gonna be talking about is the one that we have experience with, and that is, dive.is. So, through dive.is you can either snorkel or scuba dive in Silfra. The reason that this is a unique tour is, it is incredibly beautiful in the fissure. In fact, the visibility in some parts is down to 100 meters: That’s unheard of. The other thing that’s unique about Silfra is that there is no marine life: No fish, no coral, no, nothing, a little bit of algae, so yeah. But there’s nothing else to worry about, so you’re just swimming and admiring and in awe during the whole tour. The other thing that’s unique about Silfra, is that the water temperature stays between one to three degrees celsius, so just above freezing. Usually when you’re thinking about snorkeling or scuba diving, you’re thinking about doing it in these warm tropical waters with all these beautiful fish but not in Iceland. Iceland has to be unique. Now, in terms of the tour itself, dive.is is great in that they offer onsite pickup, so you can either be picked up from your hotel, or you can meet them out at the location. So, if you’re already traveling the Golden Circle, and you just would prefer to meet there, no problem. Because of the extreme cold waters, they provide really, really heavy duty dry suits: including neoprene gloves for your hands and feet. So, it does take a while to get all of the gear on and get ready, and everything like that. But they’re so great about helping, and they wanna make sure that everything is fitting properly and that you’re comfortable. After you’ve put all of the gear on, you’ll walk across the street and start heading towards the fissure, and the tour guide is gonna start talking about the Silfra Fissure itself: talking about safety and actually being on the tour, and then this is also the place that you can ask any questions. So, they do make sure that everyone is feeling really, really comfortable before you’re even in the water. From above Silfra, looks like just a normal rock Fisher with some water in it, but the moment that you put your head down into the water, you will be amazed at how beautiful and clear it is. The nice thing about snorkeling through Silfra, is that there is a slight current, so you can paddle yourself and use your flippers, but actually if you prefer to just sit there and enjoy, the current will carry you along by itself. As you’re going through Silfra, you’re gonna be experiencing a couple of different landscapes: There’s a part where it’s quite deep, and you can see down for so far, and then there’s a part where the rock start coming more towards your surface, and then towards the end, it actually starts to get a bit sandy with lots of that bright green algae coming up. Also during the tour, be prepared for body parts going numb, especially your lips and your face. Since everything else is covered well in neoprene, they’re staying protected, but they’re not going to be warm: you just have to be prepared to be really, really cold on this tour. But the tour itself lasts for about 40 minutes, so you know that when the cold numbing is finished, then you know that you’re gonna get out and be warm again, and have hot chocolate and it’s all good. I do you have some really helpful tips for you about the tour itself. So, like I said in the beginning, you have the option of snorkeling or scuba diving, obviously most people are going to be doing snorkeling because not everyone is scuba certified. However, I had a friend that did the scuba diving, and she had an interesting take on it. While she’s scuba certified, and has scuba dived in many places, she said that Silfra was really unique for her because of the drive suit. She said that it was quite difficult for her because she spent a lot of time figuring out her buoyancy in the water. Of course, make your own decision and whatever you feel comfortable with, but just as a side note. Another tip is just to bring your warmest gear with you. I think this goes without saying but having heavy duty wool socks and good thermals is gonna be a really, really good way to keep you warm underneath that dry suit. I would also recommend bringing some light snacks and water with you because you are out there for several hours. If you’re wanting to take photos or video during your Silfra experience, then make sure your GoPro is fully charged. The cold water is going to zap your batteries so fast it might not even last throughout the full tour. If you don’t have a GoPro don’t worry, dive.is, is so awesome in that they have one of the tour guides that actually taking photos of everyone during the tour. Another thing to note you guys is that it’s so important to book these tours early, so as soon as you know that you wanna dive or snorkel in Silfra, make sure to book it. This tour is getting very popular, so make sure to reserve your tour at dive.is as soon as possible. Last but not least you guys is, I wanted to say this tour is not for everyone. So, while Silfra is super unique and so beautiful, I would not recommend doing this tour if you hate cold water. That might be pretty obvious, but you’re in the water for 45 minutes: It’s cold, you’re gonna be numb, you don’t warm up or get used to it really. So, if you don’t like cold water, passionately, just watch from above. And then another thing to consider is if you are claustrophobic. So, if you don’t like being in tight spaces, then I wouldn’t recommend doing Silfra. The dry suit that you have to put on is very close to your skin, especially in your neck and your wrists, which is a good thing so that the water is not going in through the dry suit, but hey, as a note, if you’re claustrophobic, probably not a good idea. Overall, this Silfra experience is so amazing, and I definitely would recommend to add it to your itinerary, and how unique to say that you swam between tectonic plates. Alright my friends. That is your information for the Silfra tour in Iceland. I hope you loved this video. If you found it helpful, please don’t forget to give it a thumbs up. Subscribe to my channel if you haven’t already, and I will see you next week.